Center your mind and body, stretch the possibilities – take your love of yoga to the next level on magical Maui! Our Hawaii yoga teacher training program was created 20 years ago and has produced top teachers, studio owners and practitioners worldwide. 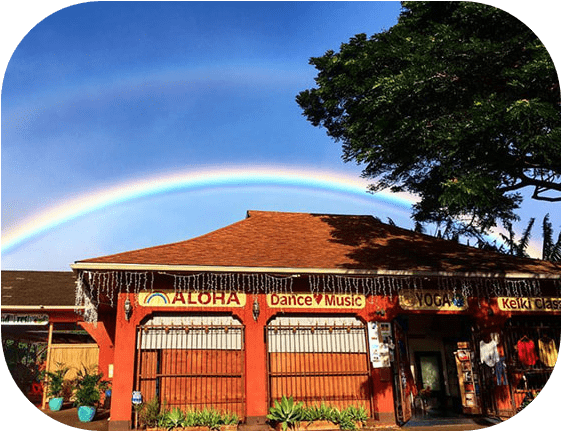 The Maui Yoga Shala is one of the most established studios on Hawaii and Maui’s original yoga & dance studio. We believe that yoga is for everyone – all levels and ages are accepted. Go for quality! Become a yoga professional! Take advantage of Maui’s off-season with a 10% discount for May teacher training! Sign up now for the May 6 – 25 yoga teacher training at Maui’s original yoga & dance studio and receive a 10% discount off tuition and lodging. Contact teacher-training@maui-yoga.com for more info. 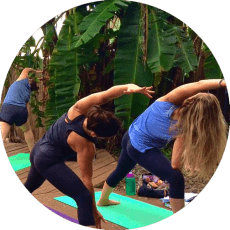 A hawaii yoga teacher training with Maui Yoga Shala is more than just about loving yoga, it is about loving life and where else to experience that than in the land of ALOHA! Why choose magical Maui for your yoga teacher training journey? Maui no ka oi Maui is the best! Located on Maui’s beautiful, famed north shore! 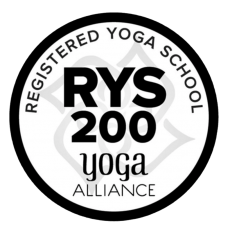 Our Yoga Alliance Certified Teacher Training is designed to lay a solid foundation for practitioners wishing to grow into teachers of this powerful art form. Through in-depth study of Asana, Pranayama, Teaching Methodology and Yoga Philosophy aspiring teachers are given the tools to share the essence and joy of Yoga. We meet daily to practice and study at the beautiful Maui Yoga Shala, located in the idyllic town of Pa’ia, a treasure on Maui’s North Shore. When not in class, there will be time to swim and snorkel in the ocean, enjoy the pristine beaches of Baldwin, Paia Bay and Ho’okipa, watch the sunset, hike the forests and waterfalls, watch the whales and visit the volcano while enjoying the laid back vibe of the North Shore. We invite you to join us here on the magical island of Maui, Hawaii for 21 glorious days of yoga, fun, friendship and personal growth. 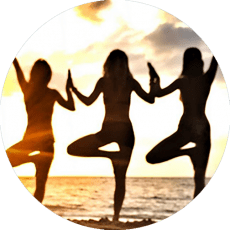 If you are on a path to become a yoga teacher or want to immerse yourself in an in-depth study of yoga for personal transformation or growth, join us at the Maui Yoga Shala, the island’s premier yoga teacher training center. Here our students have the opportunity to deepen and expand their understanding of yoga, learn the skills of teaching heart-centered yoga practices and become a yoga professional. The magic and beauty of Maui make it the perfect place for your yoga Training. Here in the land of aloha, the magnificence of nature and the loving spirit of the community will nourish and inspire you, giving you a strong foundation for your transformational immersion into the heart and soul of yoga. And you will be surrounded by the support of your student cohort, sharing the powerful experience of a yoga immersion that is sure to be life-changing! Our expert staff of teachers have decades of experience in the art and science of yoga and are trained in several different lineages of Krishnamacharya. Our teaching team offers a comprehensive and well-rounded training that will help you discover your own authentic voice and give you skills to work with many different kinds of people and situations. We blend time-tested tradition with modern science and contemporary vinyasa styles to empower your creativity… in your practice and teaching, and in every aspect of your life. The smaller classes offer the opportunity for individual attention that supports your personal practice and growth, and helps you connect to your unique needs and gifts. 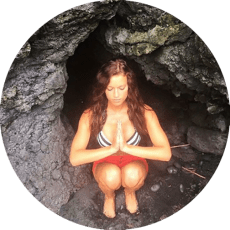 Come to Maui for a yoga teacher training that will inspire, nourish, and challenge you in all the most positive ways, and empower you to follow your heart and live you dreams!